Hi, my name is Denise. I received my degree in dental hygiene in 1982 and have worked in general dentistry, children's specialty dentistry, and orthodontics ever since. I joined Dr. Steiman's practice in 2001. It is a great office to work in and I find it truly rewarding to help create fabulous smiles for our patients. My husband and I are empty nesters now and are enjoying any time off travelling! 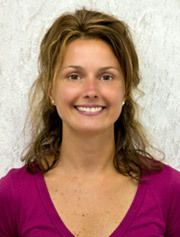 Hi, I'm Jenn, Dr. Steiman's clinical coordinator. 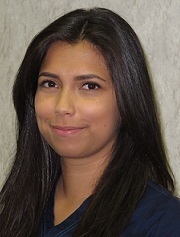 I am a certified level II dental assistant and have been working with Dr. Steiman since 2006. My major responsibility is making sure the treatment area runs as smoothly and efficiently as possible. I also take X-rays, photos, and prepare models for new patients who want to create gorgeous smiles with us. It is so exciting being with patients at the very beginning of their orthodontic experience because I know how good they will look when they finish. I love my job because I am always learning something new and most importantly, I love interacting with all the patients, both children and adults. In my spare time, my husband and I enjoy shopping, traveling, and spending time with our family and friends. Hi, my name is Kim. 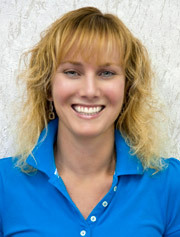 I am a level II dental assistant and have worked with Dr. Steiman since 2004. Previously, I spent 15 years in the field of early childhood education, so working with children who come to the office is especially enjoyable. I like the challenge of working in the orthodontic field and more importantly, I personally know the huge impact braces have in improving someone's smile. Dr. Steiman straightened my teeth and I love the way they look and feel, and I love the compliments I get on my smile! I have two children and in my spare time, I enjoy hiking, reading, and biking along the local waterfront trails. 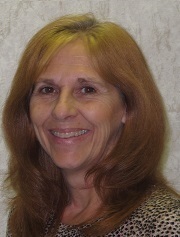 Hello, my name is Linda and I have enjoyed being an office administrator for Dr. Steiman since 2002. I have been actively involved in dentistry for more than 20 years with previous experience as a dental assistant. There is always something interesting and exciting happening with both staff and patients which makes Dr. Steiman's office a fun place to work at every single day. My spare time is spent having fun with family, friends and my new granddaughter. I also stay active walking my dogs, gardening and playing baseball and volleyball. 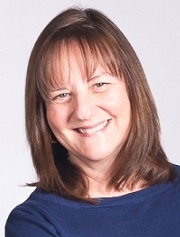 I'm Lynn, Dr. Steiman's new patient and promotions coordinator. I've been a certified dental assistant since 1985 and I joined Dr. Steiman's team in 1994. My primary role is in patient relations and social networking. I am the liaison between the patients and Dr. Steiman as they get on the road to orthodontics. I really enjoy the friendly conversations I have as I get to know patients during the time they spend with us. At the same time, I order the dental supplies and fill in at reception or assisting as I'm needed. I really like the fact that no two days are the same as I go about doing what pops up during the day. When I leave the office, I turn into the household coordinator for my husband and three children. We love to camp and have traveled to every province in Canada. When spare time opens up, my husband and I like to hike and golf, but sometimes there's nothing better than reading a good book from start to finish. 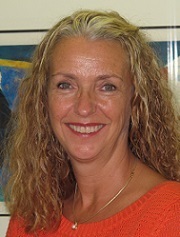 Hi, my name is Susan, and I have been Dr. Steiman's account manager/office administrator since 1994. I love the daily interaction with my patients and parents and of course, seeing all those beautiful smiles! That makes being a part of Dr. Steiman's team so much fun. He is truly interested in giving the highest quality treatment possible and making sure his patients are comfortable. In my spare time, I love to do all kinds of outdoor activities such as camping, fishing, and gardening.